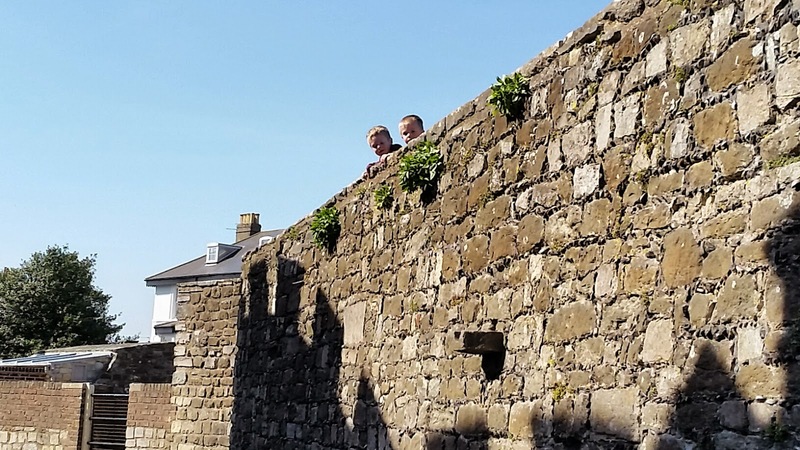 Now if you have been following our Home School Journey or just the blog, then you will know that Castles has been one of our topics. 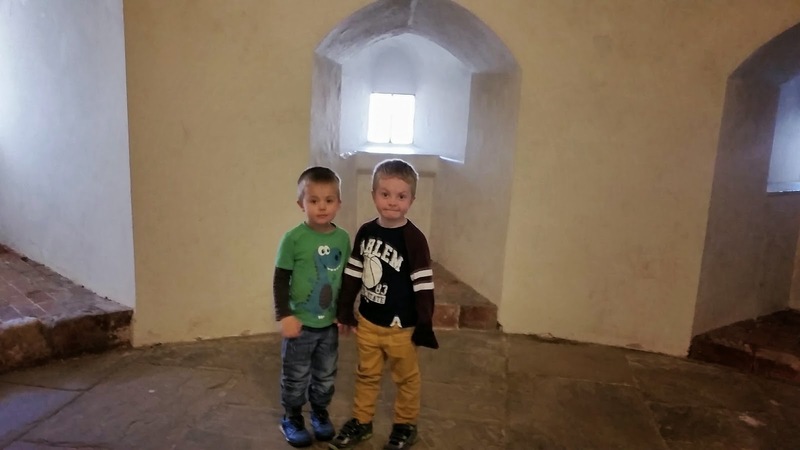 I decided that during the Easter Holidays that we would try to make up for not seeing as many castles as I would have hoped for in the term so managed to fit a trip in where we visited two castles! Only half an hour away in the central castle of what use to be a row of three. Now for all you history buffs out there you will recognise that the shape is actually the Tudor Rose; Henry VIII after deflecting from the Roman Catholic church decided that he needed to add to our coastal defence. 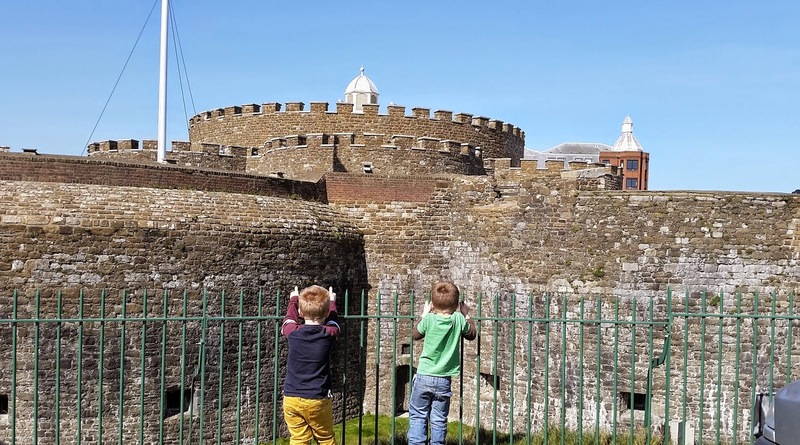 The three original castle were actually part of a series of castles that stretched from Wales along the south coast. Obviously being the egotistical King that he was Deal was designed in the shape of his House Crest; the design was actually specifically important as it provided thicker outer walls and the inner circles provided a great strength to archers, potentially, not allowing a 'weal' spot! In the centre was the castle keep. 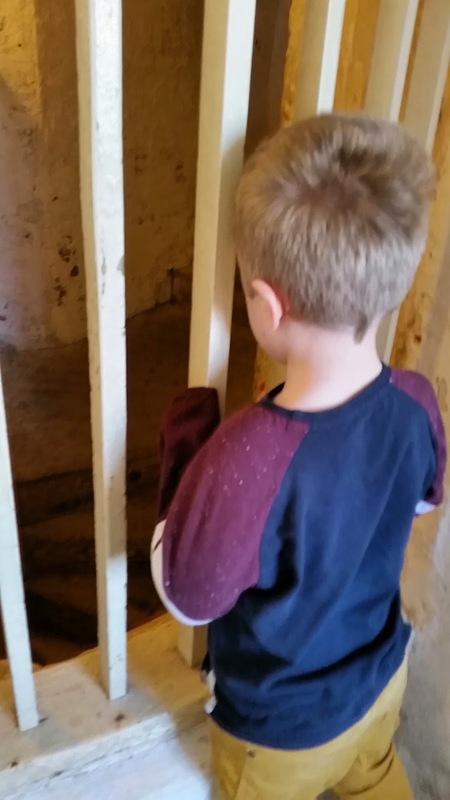 There was a large hall that sectioned off into small rooms; William found this really intriguing as it felt very much like a mystery maze. In the centre though there was a spiral staircase going down to a dungeon. Sadly Daddy couldn't get down there so we had a sneak peak instead! James enjoyed the large fireplace! When asked what it was his only answer was "this is where Santa came down to deliver presents to the King"
Each small room led off to a aisle. 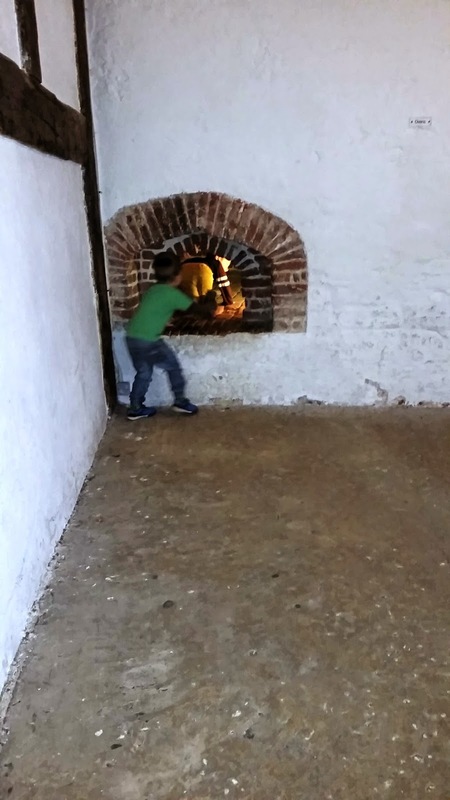 We came across the kitchen; as you can see though that the boys dismissed easily that these were ovens! Instead they thought it would be a good idea to climb in! 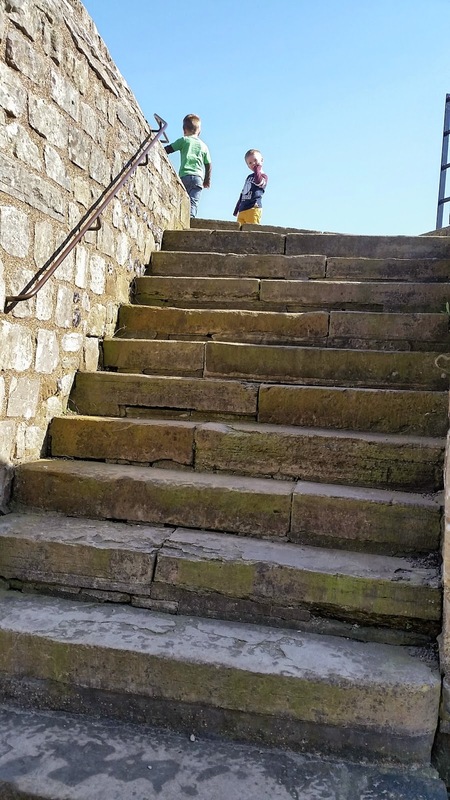 I couldn't actually climb the steps to the top battlement but because of it design every few metres there were stairways to go up the top. 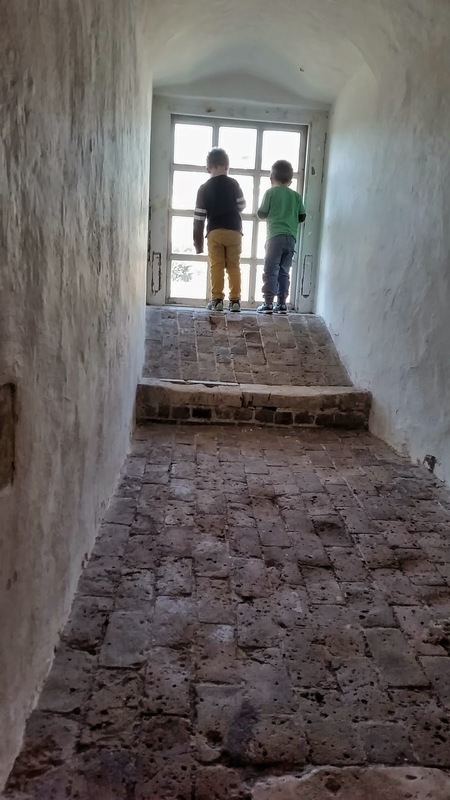 With a guided eye from a gentleman and me stating that the boys had to meet me at each set of steps by the time I finished counting to 40, they were allowed to go up and have a look, especially, at the cannons. A cheeky wave at Daddy from the top! 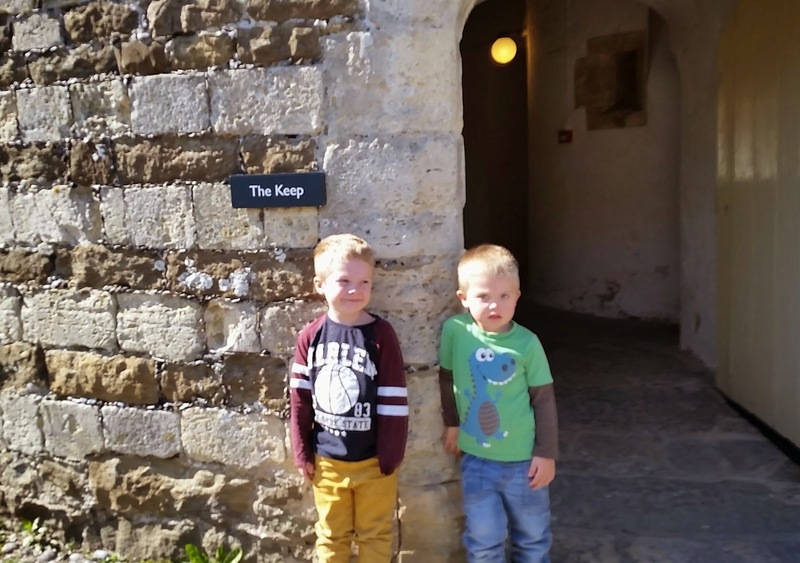 The Boys thoroughly enjoyed seeing both castles, each of which offered something different. So that's our adventure this week; One day and Two Castles! 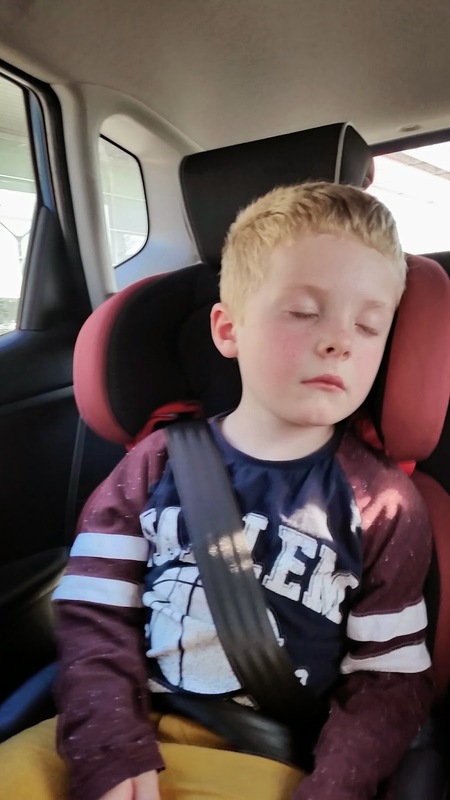 But isn't this a good sign of a brilliant day out! 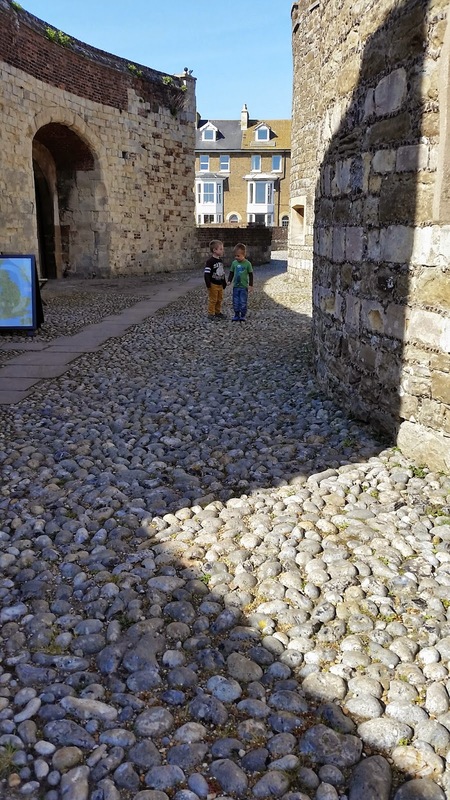 I go to Kent a few times a year to visit family and I have never been to any of the historical places bar the site of the first roman building (whose name escapes me), and Reculver, quite sad, I must do more. 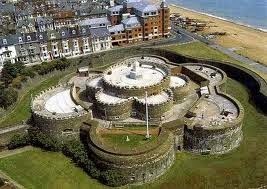 Deal castle looks beautiful, I'd love to visit that. It sounds like you've had a fabulous day out. I bet the boys are loving the castle topic. 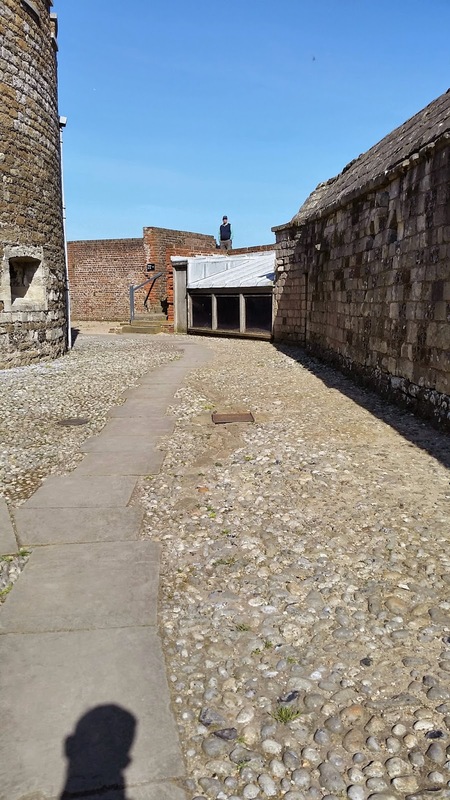 Warwick has always been a fun castle to visit, really interactive. But now it is part of the madam Tussauds group, it's incredibly expensive so I'm saving that one until the girls are old enough to take on board the learning properly. Thanks Ashley! yeah you should. 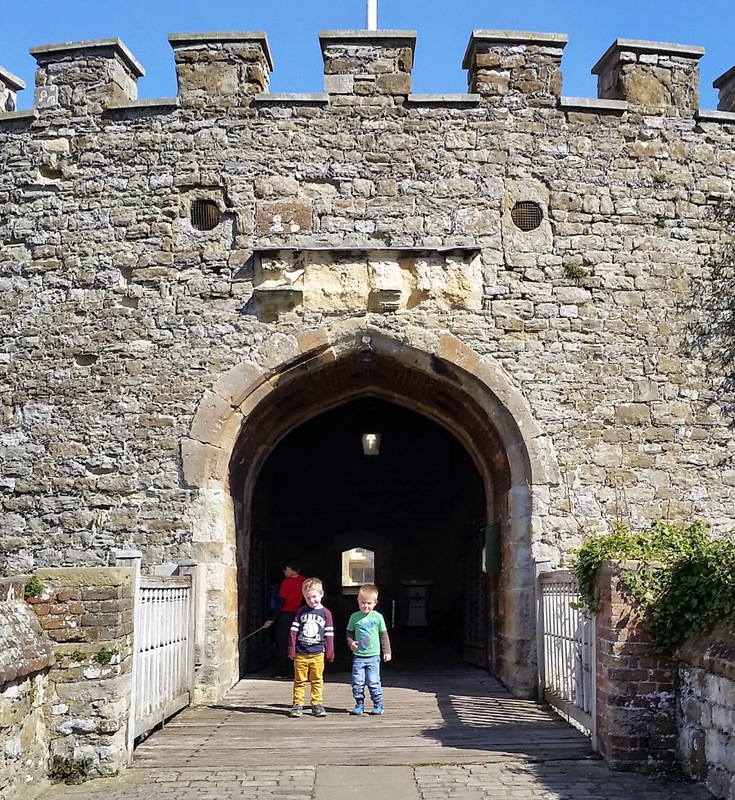 It's only a 20 minute drive from margate and these two castles are so close to one another. Definitely find out more. Haha Tommy. I know winning for a change! Lol. Nothing better than a day out at a castle. 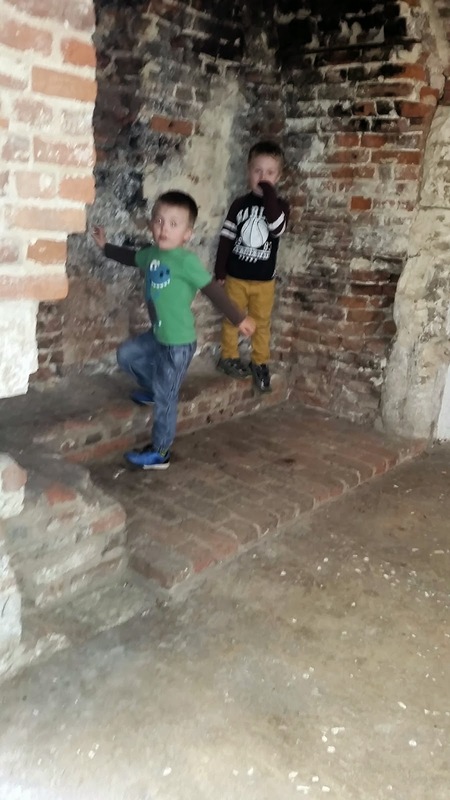 Brings history alive and all boys love a visit in the castle dungeons. Thanks for commenting Alan. Definitely agree....and who Doesn't like castles.